The Discreet Charm of the great master. 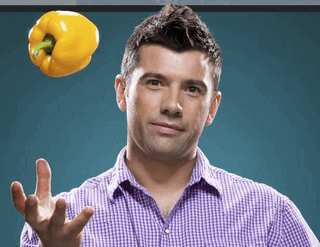 "I take recipes and flavor combinations that are familiar all through the ages, add there is only one new ingredient - and the dish takes on a new and unusual taste. " He is only 35, he was born in the Swiss city of Strengelbach, for his racing career has made impressive progress. He - the owner of the New York restaurant "Eleven Madison Park", and in April of this year, together with a partner opened another restaurant called "Nomad" in New York. Radiant eyes and a smile that somehow warms the soul. This is one of the most popular and sought after Chefs of America - Daniel Humm. This career anyone turn a head, but not Daniel. 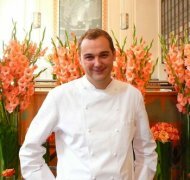 Daniel Humm began to work with fourteen years, his first training was held in the "Baur au Lag". Early in his career he prepared meals for visitors to the restaurant "Le Pont de Brent" in the Swiss Brent, then it became a place of work "Gusthaus zum Gupf" in the Alps. Here he received the honorary title of "culinary discovery of Switzerland 2002" and its first Michelin star and recognition Gault Milau. The next stage of his career - moving to America. 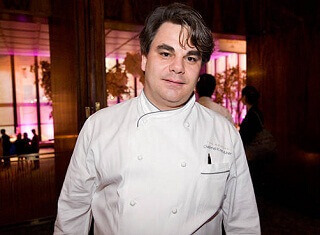 In the US, Hamm to start coped well with the position of Chef restaurant Campton Place in San Francisco, where he worked from 2003 to awards of this period include the four stars of San-Francisco Chronicle. For any chef is certainly recognition of its excellence. 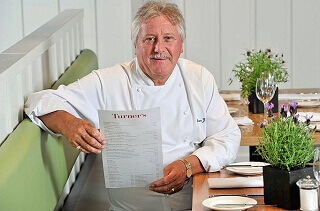 Attention is drawn to his innovative style in the preparation of traditional French cuisine. In collaboration with the sommelier Josh Raganu he developed a menu in which a combination of food and drinks was perfect, each ingredient has a role to play, and all together they perfectly complement the concept of elegance Campton Place. After three years of success, the young master was invited to the prestigious Chef of the restaurant "Eleven Madison Park" in New York. In 2008, Eleven Madison Park entered Retails & Chateaux. 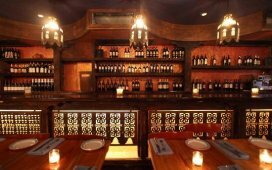 2009 brought the restaurant four stars from the New York Times. According to him, to work in New York is more complicated than in San Francisco, is highly competitive and we have to make an effort to keep on top of. Most recently, he published his first book, "Collection of recipes Eleven Madison Park". Recipes there are not the easiest, but they can make any hostess. Now the restaurant is in tenth place in the ranking of the best restaurants in the world. 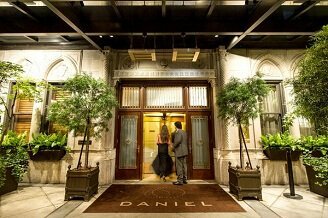 And Daniel Humm now become its new owner. 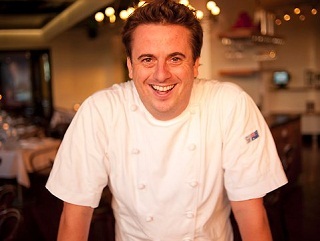 In April 2012, opened another solo project of cooking, this restaurant "Nomad", co-owner of places - Will Guidara. Visitors to note that despite the seeming simplicity, all the dishes have excellent taste trout with cucumber, suckling pig, excellent dessert trolley - meet the expectations of any gourmet. The design was made in black and red colors, and it does seem that the visitor is in the camp of nomads. "And the experience - the son of errors difficult" ..
His mentor Daniel Humm said Gerard Rabaey, he says it's a first-class chef, his work is impeccable at all stages. However, the most remarkable in it, of course, is the impeccable preparation of ingredients. For example, vegetables are arranged according to the size and destination, thanks to this approach, the process of cooking resembles the work of a Swiss watch, or maybe banks - a reliable, accurate and flawless. He explained to the young man cooking philosophy, taught to find in each of these subtle nuances, through which food gets unique taste. Speaking of his more senior colleagues - author of the book of recipes, Daniel notes that with pleasure turns to such cooking, like Thomas Keller and Daniel Boulud, he also loves to learn recipes from Michel Bras, Alain Ducasse. In his biography there were also very curious cases. For example, during his internship, he was ordered to go to a nearby restaurant and bring out the machine for filling pastry cream. What is it, young man, and had no idea, but did not dare to ask again, not to look not aware. After receiving a large heavy box, he brought her to his restaurant, what was his surprise when he opened it, the loud laughter of colleagues, he found a brick. It turns out that such a device still has not been invented. Daniel says that his mother taught him neatness as a child, she made it, for example, several times to wash the lettuce and took no objection in this regard. Family Cookery lived in a small town, coming home from school, the boy enjoyed watching his mother cook. She always told him that cooking is necessary to take all the best and only fresh, natural products from the markets and farms. Her braised chicken with bacon Maltese, pearls onions, rosemary, served with polenta, a truly unforgettable taste. His father, an architect, it is hoped that Daniel would be the successor of his profession. To some extent, this dream has come true, he is fluent in the art of structuring and design of food. Daniel Humm like to cook slowly on low heat. So, fish, according to him, maintains good taste, if the temperature of the oven or stove does not exceed 160 degrees. In addition, at high temperatures, food is often obtained digested. The average performance of work capacity plate not only help prepare the dish perfectly, but also give him a uniform taste and texture. On the question of which country kitchen he finds a reference, he answers without hesitation - Italy. The fact that he lived for 18 years in the Italian part of Switzerland, since childhood, he saw how the food reflects the traits of Italians - emotionality, openness, tireless vitality. Meal for them - a time of intense debate and discussion under the tireless delightfully tasty food, which absorbed the generosity of the Italian sun and the unique aroma of spices, vegetables, olive oil. Among the spices, which he prefers, chef said microgreens, but cayenne he uses not so often. When asked Hamm, work of Chef made him the most favorable impression, he replied that he remembered a visit to the restaurant Masa in New York. 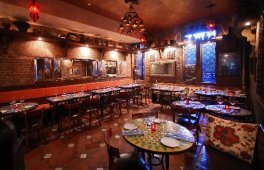 The taste of the food was great, loved and cozy atmosphere that prevails there. In his opinion, the best restaurant in New York - it's West Village. 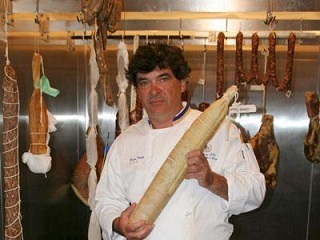 The best chefs of all time for Daniel are Fredy Girardet, Alain Chapel, Gerard Rabaey. Among his most favorite kitchen utensils and appliances young chef calls copper pots, knives, Victorinox Swiss and stoves O-Mat for slow cooking. 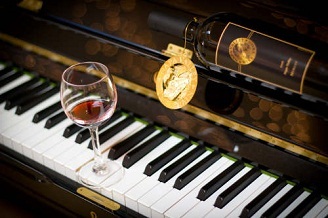 For him, there is no better music in the kitchen than a discordant hum of voices team of chefs, cooking enthusiasts the next culinary masterpiece. Teamwork especially like Daniel, team spirit, focus on the end result. From childhood he was not alone, and grew up playing soccer with friends or playing for a local youth team of cycling. He believes that teamwork always brings a remarkable result. Attitude to fast food - not love. He really likes sour flavors. Speaking of the menu, Eleven Madison Park, Chef notes that more than 70% of dishes are vegetarian. Free time Daniel is very little, only one day off a week. Favorite activities are hiking on the farmer's market or butcher shop and prepare meals. But that's not all, children's hobby bike race remains a favorite hobby for life. So nice to get together with friends, and leaving on time all the affairs and concerns, to arrange a couple of bicycle races, all this gives strength and fills with new energy to work. Once the age of fifteen young men stood in front of a choice - to be a professional cyclist or a cook, he chose the latter. However, in recent years he has participated in several marathons, its last result, course - two o'clock fifty minutes, Daniel is very proud of this achievement. Another of his passion is snowboarding, and although spare time is sorely missed, but sometimes he can ride in his native Alps. Daniel Humm - great family man and father of two children. According to him, being a parent is very nice and responsible, it concerns including food, everything has to be the best - quality products and ready meals. Best Chef Campton Palace, San Francisco. 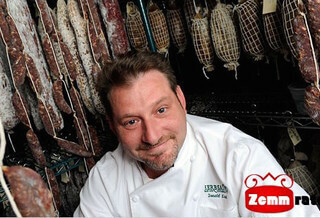 Twice been awarded the prestigious James Beard Awords - in 2010 and 2012. Its first Michelin star was at the age of 24 years. Food & Wine magazine named it the best young chef in 2005, during the existence of the award, this award was given to only ten artists, including such recognized masters as Thomas Keller and Daniel Boulud. 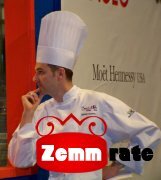 In autumn 2005, Daniel received another very prestigious award - Rising Star Aword from the magazine Star Chef.com, as told Antoinette Bruno, Editor in Chief, Technology Prize is quite difficult. Each nominee tabled by the expert council, which included twenty best chefs of the country to its jury comes very responsibly, because the winners - are the future leaders of the culinary industry. May 11, 2012 during the presentation of the jubilee, 25 Award James Beard, Daniel Humm named Best American Chef of the Year. ﻿ Daniel Robert Boome ﻿ Donald Link ﻿ Darren Simpson ﻿ Gabriel Kreuther ﻿ Brian Turner ﻿ Brian Polcyn ﻿ Best Restaurants Chicago ﻿ Daniel - aristocratic restaurant in New York.